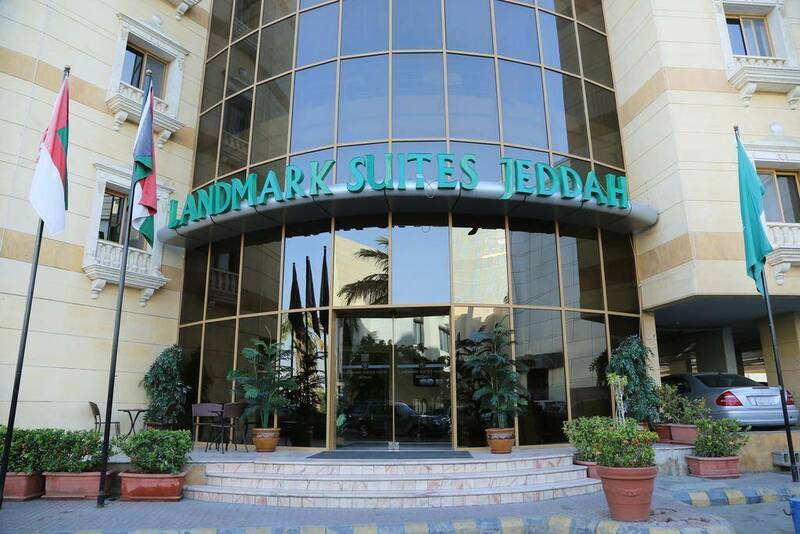 Landmark Suites Jeddah - One-Bedroom Suite - . Landmark Suites Jeddah is a second class hotel apartments, it is located in Tahlia Street, Al Andalus, Jeddah. It is only 5 km away from The beach, 2 km away from The Saudi Center for Fine Arts, 2.1 km away from Jeddah Mall. 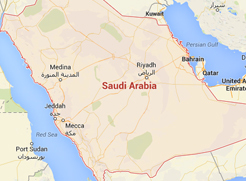 King Abdulaziz International Airport is 13 km away from the property. With its unique location, the hotel suites own a wonderful design and a comfortable furniture. Landmark Suites Jeddah includes a restaurant. Enjoy discovering Jeddah City by visiting the important landmarks such as: Le Mall, Bin Homran Center, Coral Mall, Serafi Mega Mall, and International Islamic Fiqh Academy, Jeddah. Free WiFi is available in all areas, and free private parking is possible on site to enjoy a comfortable stay. When would you like to stay at Landmark Suites Jeddah? The suite includes one bedroom with one extra large double bed, and this suite also offers safety deposit box, mini bar, tea/coffee maker, seating area with a sofa, dining area and a kitchenette with kitchenware, electric kettle and a microwave, and there is a private bathroom. It featuring a balcony, and it is with an area of 42 square meters to enjoy a comfortable stay. Landmark Suites Jeddah - One-Bedroom Suite - Landmark Suites Jeddah - One-Bedroom Suite - Landmark Suites Jeddah - One-Bedroom Suite - . Landmark Suites Jeddah - Triple Room (3 Adults) - . The suite includes two bedrooms, the first bedroom offers one extra large double bed, and the second bedroom offers two single beds, and this suite also offers safety deposit box, mini bar, tea/coffee maker, seating area with a sofa, dining area and a kitchenette with kitchenware, electric kettle and a microwave, and there is a private bathroom. 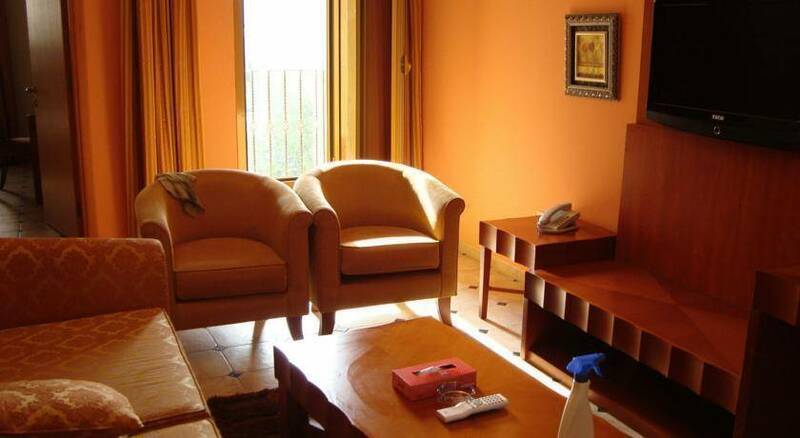 It featuring a balcony, and it is with an area of 77 square meters to enjoy a convenient stay. 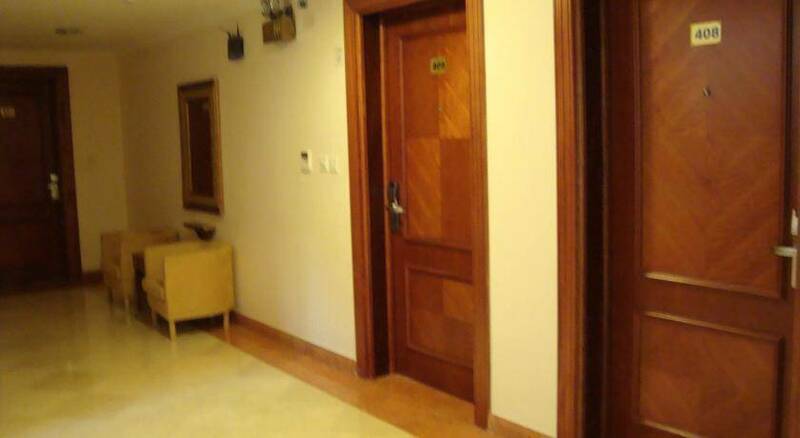 Landmark Suites Jeddah - Two-Bedroom Suite - . Landmark Suites Jeddah consists of 6 floors and contains a convenient units with total number of 48 suites, feature a wonderful decor, and fully equipped with all sort of services and amenities such as: wardrobe, air conditioning, telephone, flat-screen TV with satellite channels, safety deposit box, mini bar, tea/coffee maker, seating area with a sofa, dining area and a kitchenette with kitchenware, electric kettle and a microwave, and there is a private bathroom with a bath and a shower, hairdryer, and free toiletries in all units. Moreover, all rooms have a small balcony from which guests can enjoy far-reaching views across Jeddah and the Red Sea. The units have these types and sizes: One-Bedroom Suite, Two-Bedroom Suite, and Three-Bedroom Suite. Landmark Suites Jeddah includes: - Palm Restaurant &ndash; On-site restaurant that offers delicious cuisines. Room service is available for guests comfort. Landmark Suites Jeddah includes an outdoor swimming pool, fitness centre, and massage to spend the best times ever. Landmark Suites Jeddah includes one meeting room and there is a business center.